So, you’re thinking of buying a puppy? Congratulations! A puppy can bring so much joy to your life and enrich it in so many ways that most new dog owners don’t realize. From being happy to see you first thing when you come home to protecting you from potential dangers, dogs oftentimes provide the unconditional love and support that most humans desire but have a hard time finding. With that being said, dogs are a lifelong commitment and a huge responsibility. From house training your pooch to making sure she has all of her vaccinations, to maintaining a whole and healthy diet to ensuring she gets plenty of exercise and play, owning a dog is much like having a baby, as dogs, like babies, rely on you for everything that they need. For this reason, it is so important that you understand what goes into caring for a dog and how a dog will impact your life before you adopt one. Does your current lifestyle accommodate a dog? Will it continue to do so in one, five, or even 15 years? Between work, your social life, travelling, and maintaining relationships, do you have time for a new puppy? Will you be able to pay for any special medical expenses that your dog needs, if any? Is your currently living situation suitable for the size and type of dog that you want? Though it is difficult to anticipate every situation, and though may not be prepared for every little thing, if you can confidently say that you are committed to caring for a dog no matter what challenges she throws you way, you have the right mentality for a future dog owner. What Do You Want in a Dog? Age: This is a big one. Older dogs require less training and don’t need a ton of shots, as puppies do. However, they are more difficult to bond with and will require a lot more one on one attention in order to let them get to know you. Puppies, on the other hand, need extensive house training and obedience training, but will adore you from the get-go. If you adopt a puppy, you will have a greater impact in how the puppy is trained and in shaping how it behaves in the long run. Size: Do you live in an apartment or a house? Do you have a large yard or no yard? Are you adopting a dog for protection, companionship, or both? If you live in a small space without much yard for a dog to run around in, a smaller dog might be best for you. However, if you own a home that has a large, open yard, a big dog would be a great option. Additionally, if you want a dog to protect you, a large dog would be more effective than a small one. Lifestyle: Are you someone who has a lot of energy, enjoys going on long walks, and loves to be outside? If so, a high energy dog might enrich your life. On the other hand, if you do not enjoy exercise and prefer a cuddle buddy rather than a running buddy, a lazier, more self-sufficient dog would be the wise choice. Training Needs: All dogs are going to need some amount of training, but if you are not very disciplined and aren’t confident in your ability to teach another living thing, ask about breeds that are easier to train. Children: If you have children or anticipate having children, you need a dog that interacts well with them. Too many people adopt a dog and then have children, only to realize that the dog doesn’t do well with children. They then give the dog away to a shelter. This is unacceptable. Dogs need forever homes, so if you can’t give them that, owning a dog is not for you. Consider every aspect of your current lifestyle and give serious thought to where you hope to be one, five and 15 years from now. If you can envision a dog in your near and far future, great! If not, it may be best to consider adopting a cat or some other low-maintenance pet instead. Once you have determine what you would like in a dog, it’s time to talk breeds. Though every dog is an exception, each breed is characterized by certain personality traits. For instance, German Shepherds are known to be extremely protective and high energy, while bull-dogs are fairly low-maintenance and sluggish. A knowledgeable breeder can listen to your wants and needs for a dog and direct you towards a breed that is best suited for you. Even if you adopt a mixed breed from a shelter, research the characteristics of the breeds it is mixed with to rule out any traits that you find particularly undesirable. Once you’ve decided on a breed, it’s time to start preparing to bring your new pooch home. The best way to make sure that you do not forget a thing is to make a list. Buy all the fun “nesting” stuff. Get a bed, collar, food and water bowls, dog shampoo, a crate, a leash, a brush, and toys and bones. Ask your local pet store about signing up for a membership, as oftentimes doing so can save you a great deal of money in the long run. Contact a vet and make an initial appointment. This will be the vet that your dog will see for the rest of her life (assuming that you stay in the same area), so do your research prior to selecting a vet to make sure that you feel comfortable with them, their philosophy on treating animals, and their treatment plan. If you feel it is necessary, invest in pet insurance. Save enough money to pay for your pet’s first year shots. She will need plenty of them, which could become costly; you don’t want to adopt a dog only to find that you cannot afford her second round of vaccines when the time comes. It is best to have that cash upfront so that you don’t have to worry about it. Do you work a full time job? If so, consider a doggy day care. If that is out of the option, look into hiring a dog walker for an hour or two a day. If you travel frequently, interview pet sitters or find a family member who would be willing to care for your pooch while you’re out of town. Again, it’s tough to be prepared for every last curveball your new pet throws your way, but by making a list of potential situations, you can at least be as prepared as possible. There is really no right or wrong answer to this, as everyone is different. If you choose to adopt from a shelter, just know that you may not always know what you are getting. While the shelter may tell you that a dog is a full-bred Doberman, the dog could very well be part Rottweiler. A shelter’s job is to rescue animals and find them a new home, not necessarily to identify breeds and place them in the best home. Moreover, when you adopt from a shelter, it can be hard to tell what medical attention or shots the dog still needs. Many puppies and dogs are just dropped at shelters with no information on their background. Though most shelter staffs will do their best to find out as much about a dog’s medical history as possible, most shelters work on limited funds and cannot viable afford a thorough examination for every animal brought through their doors. With that being said, it is up to you, the dog’s new owner, to take her to the vet and get a full medical history screening. If there are any surprises, you must figure out a way to deal with them as you committed to caring for that pup the day you adopted her. However, if you work with a breeder like CT Breeder, you know exactly what you are getting. A breeder, obviously, knows exactly which breed a dog is and can fully inform you about the pros and cons of the breed you are looking to adopt. They can evaluate your lifestyle based on what you tell them and advise you on whether or not your desired breed is actually a good fit. If they don’t think that your lifestyle, or your wants and needs for a dog, are compatible with the selected breed, they will tell you so. Additionally, a good breeder will not only have a thorough medical history for each and every puppy, but also, they will have a thorough medical history for that puppy’s parents and even grandparents. This will make it easier for you to accurately gauge future medical and healthcare expenses. Breeders will also have taken care of your puppy’s initial shots, eliminating at least one essential expense. If you do decide to work with a breeder like CT Breeder, do your research. Unfortunately, many so-called “breeders” are really just puppy mills that churn out dogs at an alarming rate to make a profit. Avoid these types of breeders at all costs! Dogs that come from puppy mills are overbred and have significant health issues, not to mention temperament issues. A good breeder will not only welcome a home visit, but also encourage it. When visiting them, keep not of how clean the puppies’ living quarters are and what sanitary precautions are in effect to keep them safe. Do they look well fed and taken care of, or are they scrawny and mangy looking? While your heart may go out to poorly taken care of pups, consider future behavioral needs and temperament before taking one home. A good breeder will make sure that all puppies are fully weaned and mostly house trained before sending them home, as they want their clients to have the best experience possible. Make sure all puppies are at least 8 weeks old before the breeders offer to let them go home. If they tell you they will “make an exception,” be wary. No pup is ready to go home before 8 weeks, and implying that they are shows how little the “breeder” knows (or cares) about their animals. Dogs are not for everyone, but if you are even considering getting a dog, chances are that there is one that is right for you. If you are patient and put in the time to evaluate your lifestyle, research proper breeds, and the right dog for you, you may just find that adopting a dog is the best decision you have ever made. 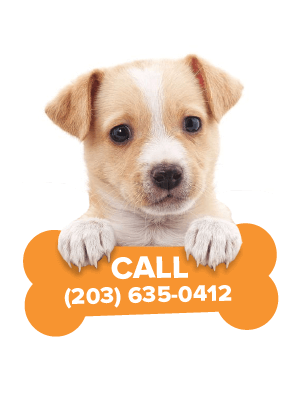 If you are interested in adopting a puppy for the first time, reach out the professionals at CT Breeder for help with selecting the best breed for you.